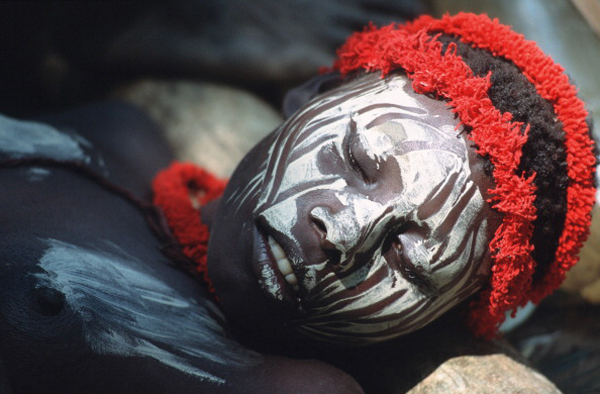 If Jarawas have no concept of law, how fair is it to punish the Jarawa man who killed a baby? What makes the Jarawas unique and why do they need protection? What led to the baby\'s murder? Deep in the jungles of South Andaman, the murder of a five month old Jarawa baby has rattled everybody. Although the murder itself occurred last November, an article published in The New York Times some days ago brought the issue to centrestage putting the pressure on the police and the Department of tribal welfare to act. The South Andaman police are befuddled. 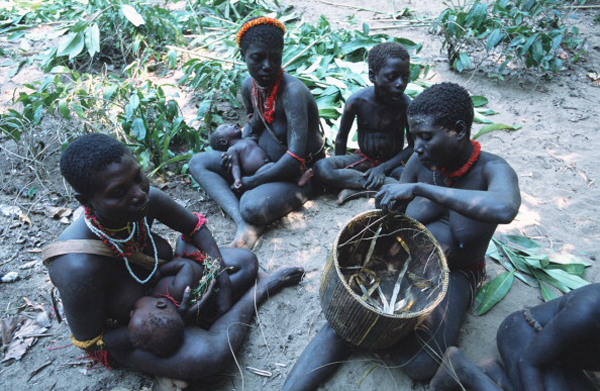 For several years, India has taken steps to ensure complete protection to the Jarawa tribe. Key among the steps taken is a promise to never intervene in their affairs and impose Indian laws, value systems and moralities on their existence. But for the first time a Jarawa man is the prime accused in the murder of a baby of the tribe. Should he be arrested or let free? 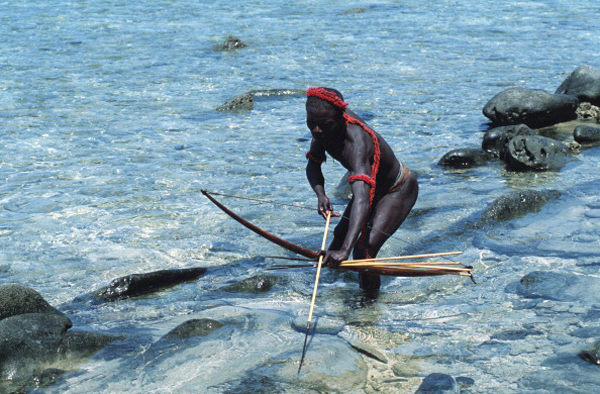 The tribes of the Andaman Islands - the Jarawa, Great Andamanese, Onge and Sentinelese - have lived in their Indian Ocean home for 55,000 years. They belong to India's last living remnants of the Paleolithic era of civilisation. They are a hunter gatherer tribe living on the bounty of the forest. This has also meant that without contact with the outside world, their bodies have been free from modern diseases. It was only when the British colonised the Andamans along with the rest of India that they brought along bribes of alcohol, tobacco and exotic European diseases such as syphilis which is supposed to have wiped out most of the 8,000 strong Great Andamanese, down to just 50 odd members today. Since Independence, Indian settlers have exploded into the pristine islands. 400,000 settlers live surrounding 400 Jarawas - which translates to a thousand-to-one imbalance. 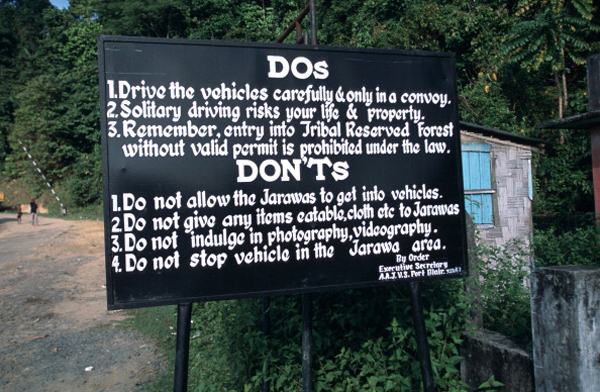 The inauguration of the Great Andaman Trunk Road in the 1990s has further threatened the survival of the tribe as it runs straight through the 300 square miles of Jarawa land . That road now brings a rush of illegal tourists who come and gawp at the Jarawa, throw food at them and click pictures of them. Many illegal poachers and settlers are known to exploit the women, eliciting sexual favours in return for food. A baby was born to an unmarried Jarawa woman last June in the Tirur No. 4 village. While the Jarawa are known to have negroid features and crimped hair, the baby was born with lighter skin. This immediately worried the tribal welfare staff because in some cases the Jarawa are known to kill babies fathered by a non-Jarawa so that it doesn't dilute their genetic pool. On 16 November 2015 the Jarawa mother woke up and didn't find the baby beside her. Worry struck she alerted the tribal welfare staff around in the area. It was then that she found out that her baby was drowned some yards away. The welfare staff members immediately lodged an FIR at the nearest police station, alerting the police about the situation. According to the Andaman Chronicle"Investigation by the Police revealed that a man named Subramani ailas Munna, a resident of Herbertabad, South Andaman had provided alcohol to the Jarawa man, the previous day and persuaded him to commit the crime". Subramani was arrested the following day, produced at court and later imprisoned under judicial custody. Denis Giles, editor of the Andaman Chronicle said that such murders were "not the norm" while speaking to Catch over telephone. Giles has kept track of babies born with straight hair or lighter skin tones growing up into normal adults within the Jarawa tribe. "This particular case is unusual because the mother appeared to be having an affair with an outsider. When he found out that she was pregnant and then gave birth to his baby he wanted it killed to erase any trace of his relationship to her or the child. He then roped in a local Jarawa and bribed him with alcohol, under the influence of which he was made to commit the crime," defends Giles. 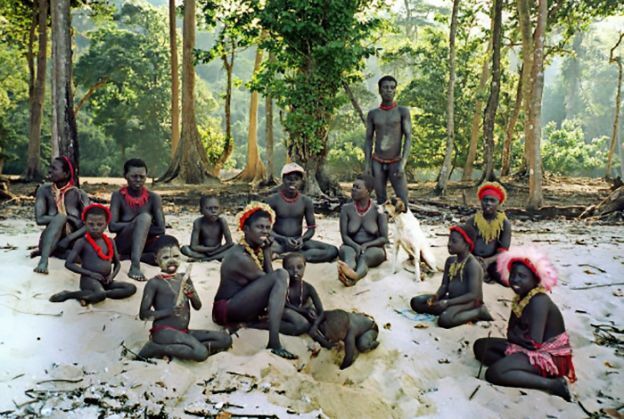 In an email interview to Catch, Madhusree Mukherjee, journalist, researcher and author of The Land of Naked People about the Andamanese tribes says, "The Jarawa are not seeking intervention to deal with the Jarawa man who killed the child. They are seeking help in dealing with outsiders, such as the Indian man who fathered the child and wanted to hide evidence of his illegal liaison". On 1 December 2015 the police arrested another person named Tapas, a resident of Tirur, presently working at Havelock. The arrest was made based on the statement of the baby's mother and other Jarawa members that Tapas had fathered the baby and later escaped to Havelock. The police, meanwhile, are waiting for instructions from the ministry of tribal welfare on how to handle the issue of the Jarawa man involved. According to Giles what we'll see here onwards is inaction because the internal affairs of the Jarawas falls outside of everybody's purview. Also, gathering evidence of the child's DNA and murder is impossible until the body of the baby is handed over to the police. And it's already too late for that. Mukherjee, in any case, argues against the arrest and trial of the Jarawa man. "He comes from a completely alien culture, where the entire concept of courts, lawyers, jails, etc. will be completely alien. For a nomad to be confined in prison would serve no purpose even as deterrence, because neither he nor others in his tribe would understand why he was being punished in this way. I don't think the Indian judicial system is sensitive enough to deal with this complex situation," she says. If there has been one positive thing the incident has led to, it is in creating an environment of panic and fear among outsiders - particularly poachers. It has reminded them of the cost of messing with the innocent. According to Giles the environment is similar to the time in 2012 when The Guardian posted a video of a an off camera police officer asking Jarawa women to dance for his amusement in exchange for food. India's former home minister, P Chidambaram had then ordered the Andaman administration to arrest whoever had filmed the video and the tour operator involved creating a great deal of panic in the islands. "The murder of the baby, the arrest of the accused and now The New York Times article about the incident has created an environment of fear. Outsiders' interactions with the Jarawas are suddenly lower," says Giles, mentioning that information always reaches the outside world late when it concerns issues in the islands. But all this has also put the question back on the policy of isolating the Jarawas. If contact with the outside world is inevitable, why not end the grand anthropological experiment and integrate them? Enmey is a Jarawa who had fallen from a tree and broken his leg in 1996. When the tribal welfare staff intervened to rescue him and brought him to Port Blair for treatment, he became the point of truce between his tribe and the Andaman administration. He went back taking the goodwill of the people and convinced his tribe to give up hostility in 1997. Giles then interviewed him in 2003 - perhaps the first public interview given by a Jarawa. Giles still remembers that when he asked Enmey, pointing to modern inventions, if he liked buses, lights, fans, electricity, and the city life. Enmey very kindly said, "Outside the jungle is good and inside the jungle is good. Both are good." 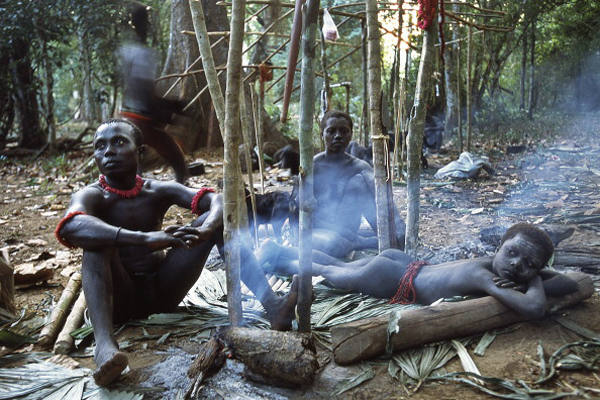 The Jarawas are known to never offend or speak sarcastically. They are gentle beings, grateful for hospitality, says Giles. Pointing to a few cases of Jarawa men who have made contact with the world outside and even learnt to speak Hindi, chew pan, drink, smoke, swear, and be street smart, Giles says, "Eventually, they get a taste of this life and prefer to retreat back into the jungles." But Mukherjee says the young Jarawas are changing. There is a growing divide between the relationship the young and old Jarawas want with the modern world. "The young Jarawa are intrigued by the outside world and its things, which actually poses serious problems for their culture and even survival. Their desire for things is being used by others to buy things from the forest. 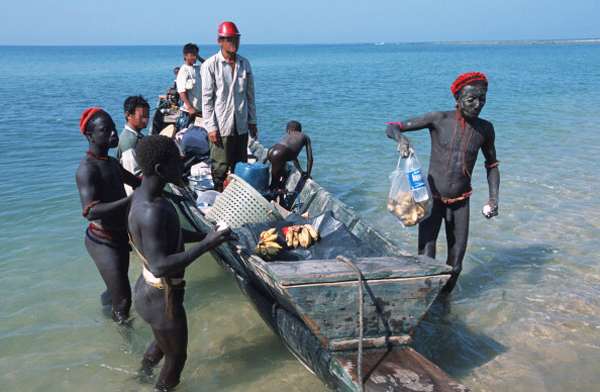 For instance, the Jarawa are being given alcohol, biscuits, and other things to collect the valuable crabs found in the forest for poachers. These crabs fetch an enormous price in the international market and this is a source of tremendous economic pressure on the Jarawa's resources," she tells Catch. Either way, the murder of the Jarawa baby puts the question back to the Andamans authority on the risks plaguing the tribe. Can they afford to remain under isolation any longer? It has been a year since the administration has slowly begun educating the tribe. They have been taught how to read, write and speak their own language better, identify weather seasons and the diversity in their own ecology and importantly stay informed about the ill effects of consuming alcohol, tobacco and sexually transmitted diseases. Perhaps once they learn to communicate better, they can make more educated decisions about how much of the world they want to let into their jungles. Power game: is the BJP about to break off alliance with the PDP?